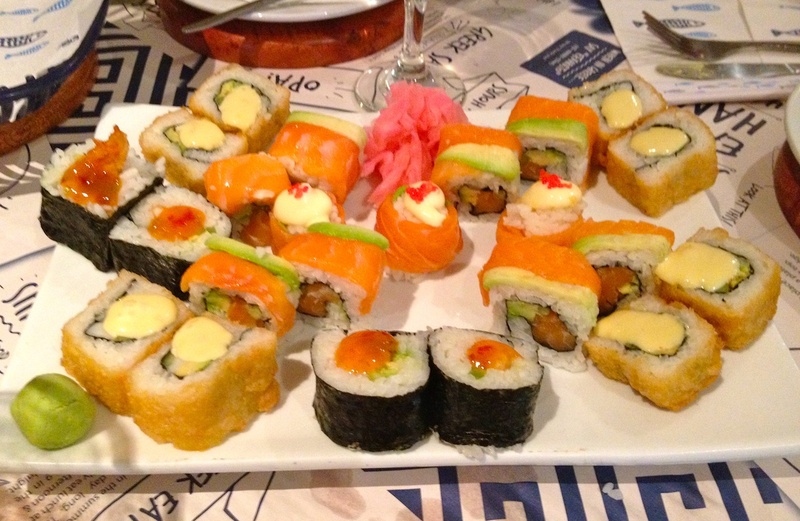 I’ve been absent from the blogs for a few days, as we’re still away on holiday. Yesterday we arrived at my MiL’s house in England, and over the next week will be having family and friend reunions before returning to Florida on 4th July. My blog friend, author Dianne Gray commented “I was about to call the WordPress police to see if you were okay,” so I thought I’d check in with a contribution for Jude’s Bench series, which this month calls for edited photos of benches. 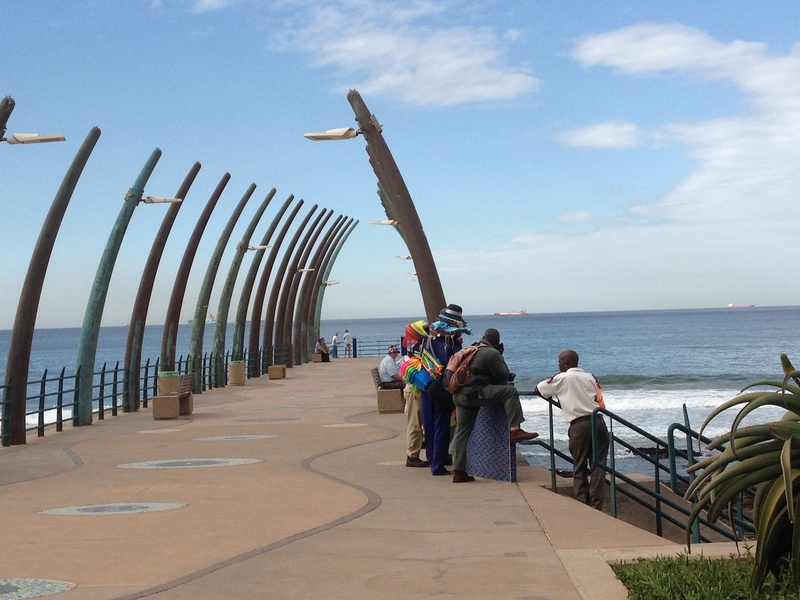 In Umhlanga Rocks we have a splendid pier which boasts many benches where one can sit and watch the waves and ships, or gaze across at the lighthouse. My attention was caught by the little gathering next to the steps. 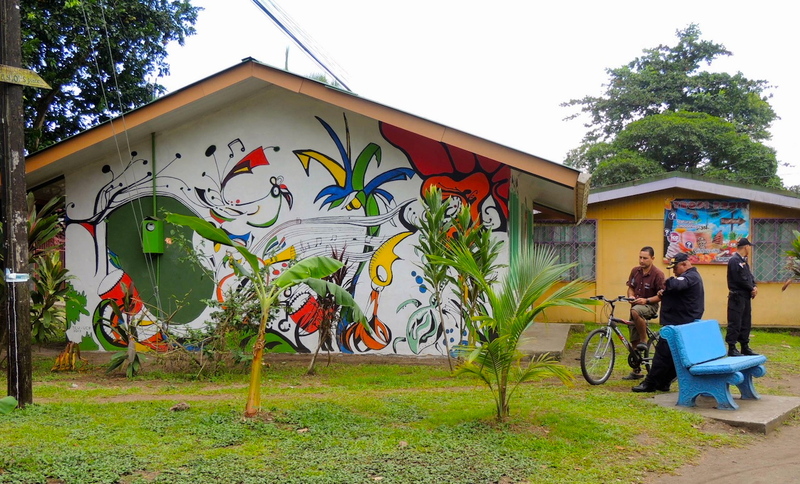 There’s a security guard, and a very colourful beach vendor wearing an assortment of sunhats and carrying buckets, spades and fishing nets, chatting with a couple of their friends. I cropped the photo to focus on the group, and saturated the colours to make the scene look more jolly. Thanks to Aletta of ‘nowathome‘, for tagging me to do the 3 days, 3 quotes challenge. Today we leave Umhlanga, and will be driving up to Johannesburg to see our daughter and family before flying off to England on Tuesday. I wish you all a very happy weekend. Thanks to Aletta of ‘nowathome‘, for tagging me to do the 3 days, 3 quotes challenge. 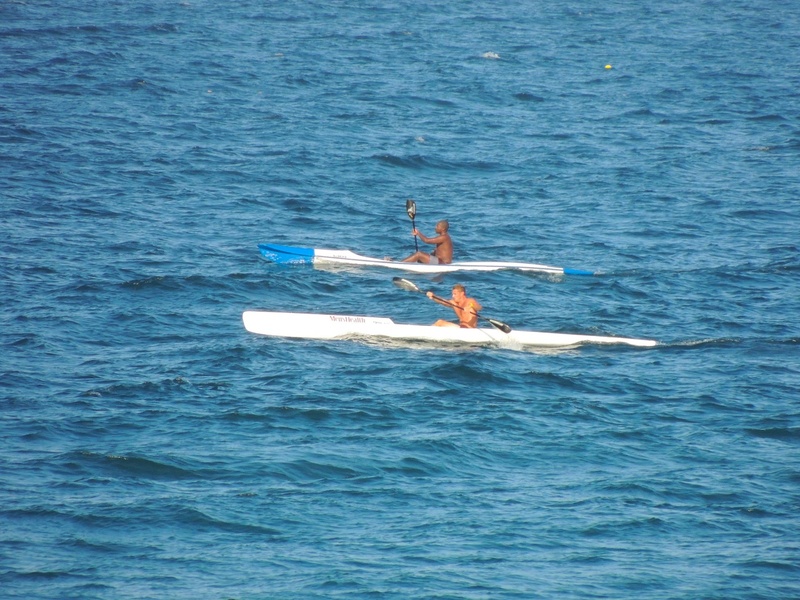 For day two, I have another photo taken at our beach here in Umhlanga Rocks. 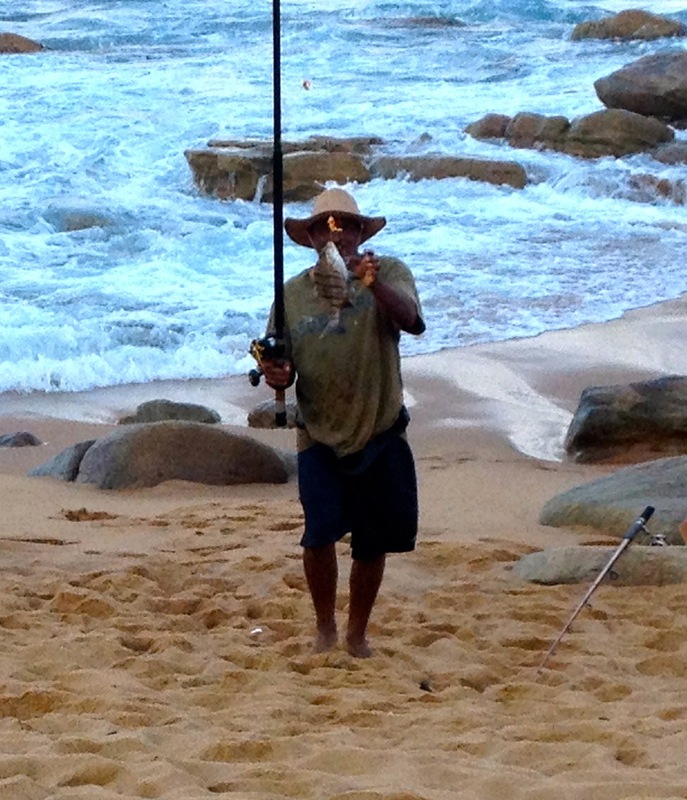 Just as I was walking past this fisherman, he caught a good-sized fish and proudly held it up for me to photograph. My quote, is the caption underneath the photo. Thanks to Aletta of ‘nowathome‘, for tagging me to do the 3 days, 3 quotes challenge. 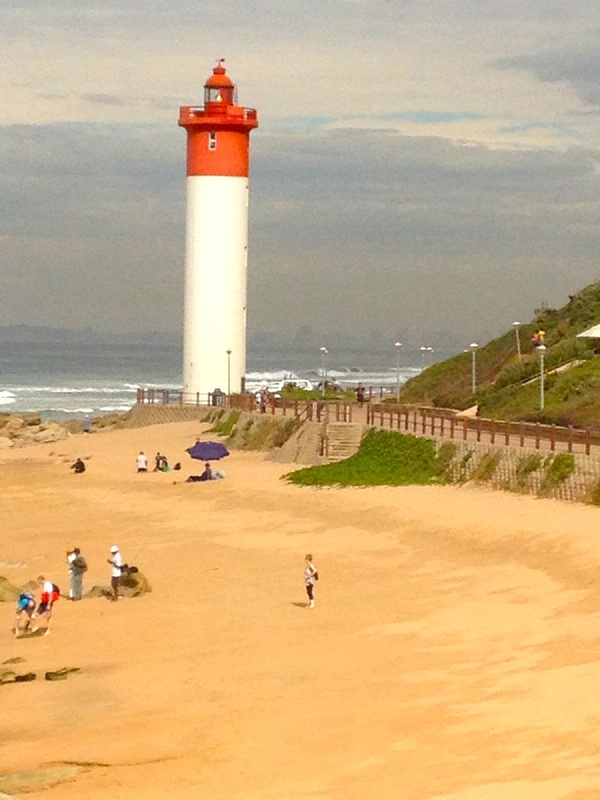 As some of you may know by now, I really love lighthouses, especially the red and white one here in Umhlanga. My quote for today is the caption beneath the photo. Jude’s Bench Series for the month of June calls for a bench with ‘Art Effects’. 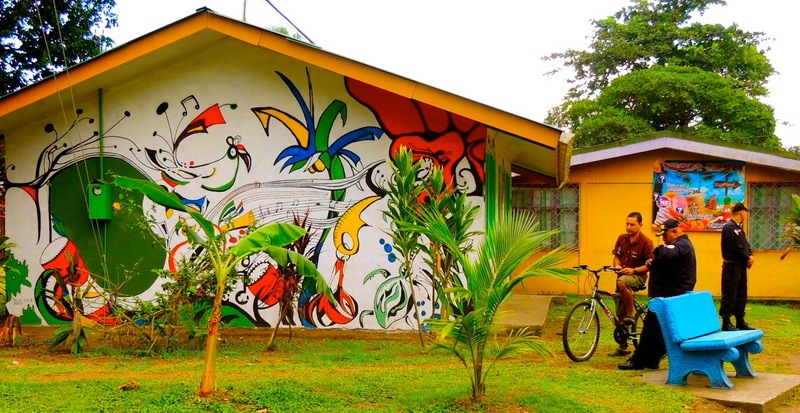 This photo was taken in the colourful village of Tortuguero in Costa Rica. I cropped the image slightly and accentuated the bright colours with a bit of tweaking on my iMac. Here is the original. Which do you prefer? See more June benches here. 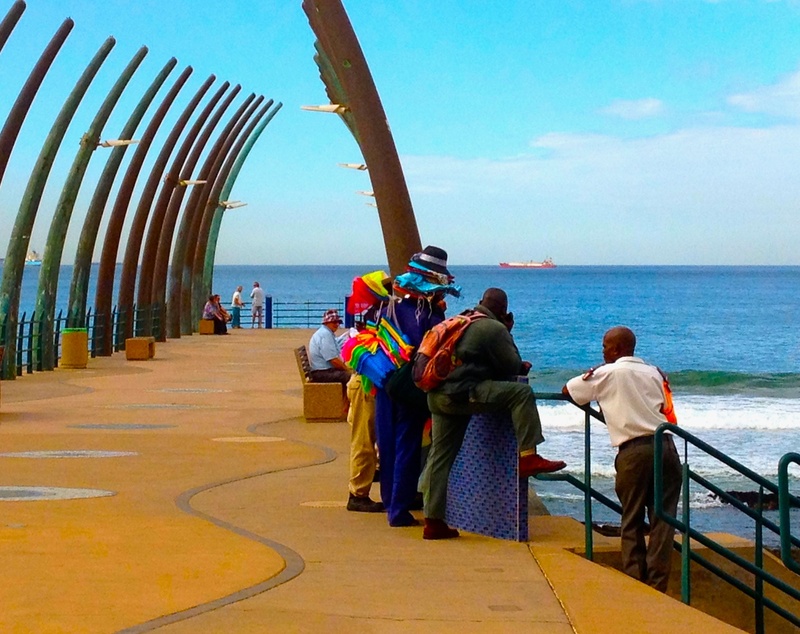 There’s nothing quite like a bit of a knees-up on a fine winter’s day in Umhlanga. Last week the Quicksilver ‘Get Free’ surfing competition was held at Bronze Beach here in Umhlanga, and we just happened to be there to capture some of the action. These fantastic photos were taken by hubby, who unlike myself, is able to hold the camera as steady as a rock. 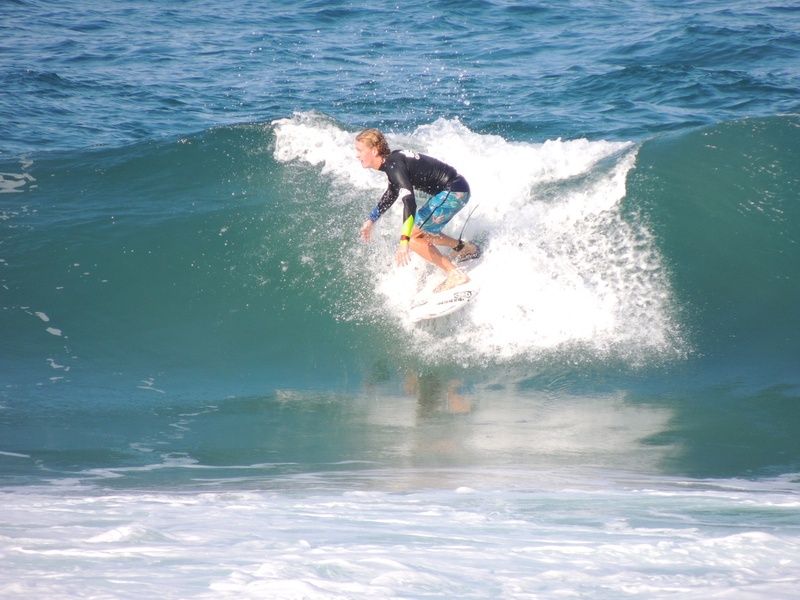 Umhlanga Rocks is well known for having some of the best waves for surfing in the country. I was wondering how long ago it was since man discovered surfing as a sport, and was amazed to read that way back in 1779, after Captain James Cook had been killed by Hawaiians, Lt. James King who assumed command of his ship ‘The Discovery’, wrote two whole pages in Capt. 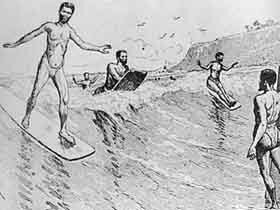 Cook’s journal, describing surfboard riding as practised by by the locals at Kealakekua Bay on the Kona coast of the Big Island. 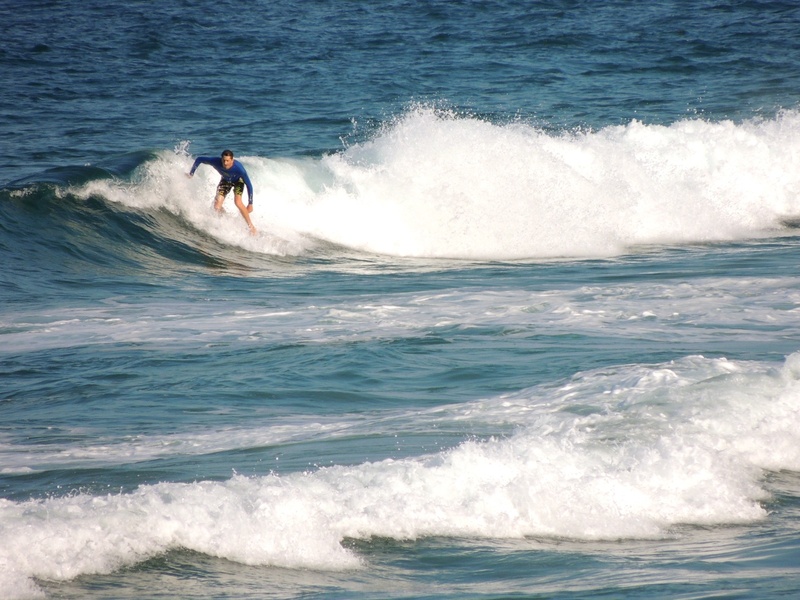 Surfing was already an ancient Hawaiian tradition, and is thought to date back to the 4th century AD. photo courtesy of Bishop Museum archive. 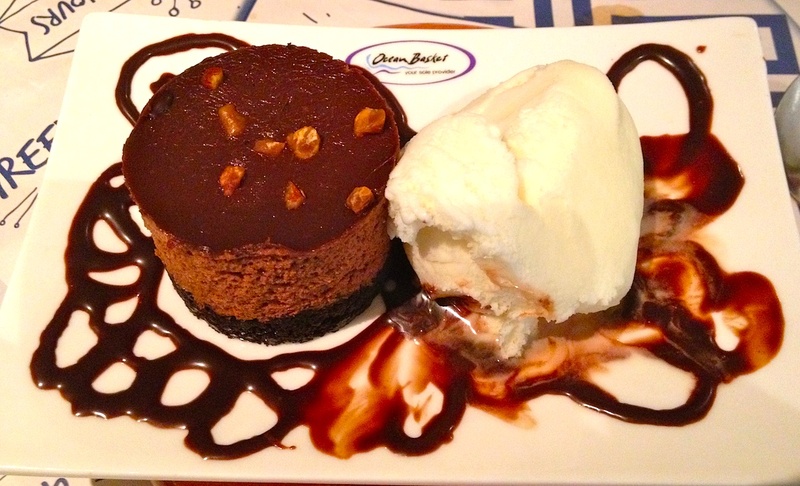 This post is linked to this week’s ‘Photo a Week’ challenge, which calls for action shots. Wishing you all a great action-packed weekend. This month, Jude is looking for bench photos with some post-processing. 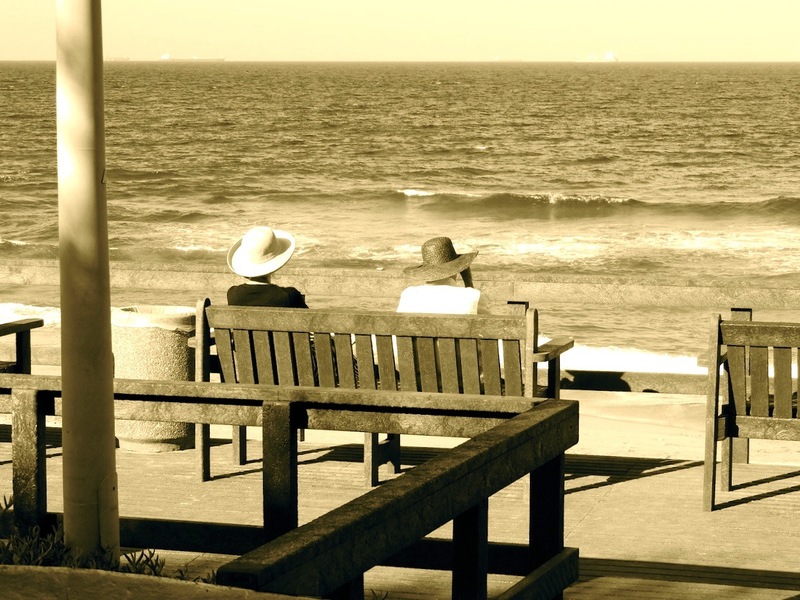 Here’s a bench photo from Umhlanga Rocks. At the far end of the promenade, there’s a newly-built deck with four benches where one can sit and contemplate the restless, ever-moving ocean. I feel that the sepia processing gives timeless feel to this scene. See more bench photos for June when you click here.